Ashley was born and raised in Oklahoma, where the wind really does sweep down the plains, and horses and carriages aren’t used as much as she’d like. When she’s not writing (haha, like that EVER happens! ), she’s probably working out or pretending she’s Sherlock Holmes. Her obsession with writing began after reading the Lord of the Rings in the eighth grade. Since then, she’s loved everything Fantasy–resulting in an unhealthy obsession with the ‘geek’ tab on Pinterest, where all things awesome go. 1. Pugs: I have an obsession with pugs. So much so that my co-workers have taken to decorating my desk in pugs for my birthday, sending me pug (Childrens) books to read (Zorro the Pug!! ), and given me pug socks. 2. Tea & Coffee: I stopped drinking coffee for a while and relied mainly on tea…now I drink both. I think I find the act of drinking tea or coffee calming. It’s something I think about on a day that’s just a little too stressful and look forward to. It’s also a ritual I’ve combined with my writing time: make a cup of coffee or tea, sit down with my music, and write away. 3. Sherlock: I don’t watch much on TV, but you can bet I’ll sit down to watch an hour of SHERLOCK when the new season comes out. I LOVE it for several reasons: amazing characters, creative plots, and clever dialogue. 4. Reading: Well, you can’t be a writer if you don’t read. My current reading list is: DIE FOR ME by Amy Plum, Creating Characters by the Editors at Writer’s Digest (because you HAVE to read about craft), STRANGE ANGELS by Lili St. Crow. 5. Writing (creating): Of course one of my favorite things is writing! If I don’t write SOMETHING at least once a day, I feel like I missing part of myself. Below I’ve showing pictures of my books (CANNON has yet to be published, or written). I’ve been working hard on another book called WHEN STARS COME OUT that’s taken a lot of my time…but I love it, and I hope you will, too! 6. Makeup: I love makeup…I buy various products to try, and am always trying different ways of doing my makeup. I recently go into lipstick, something I never thought I’d do. 7. Christmas: I love the feel of Christmas…there’s something about the lights and the colors that excites me. 9. Travel: I love to travel and I love adventure. I’ve been to Ireland, Peru, Italy, London, France, and Cancun. We’re hoping our next adventure will be getting to visit all the LotR sites in New Zealand! 10. Disney: Like many, I love Disney. I think it’s because I can relate to the stories, in particular, Belle and Cinderella. I loved the 2015 live-action version of Cinderella, and I can’t wait for the live-action Beauty and the Beast! 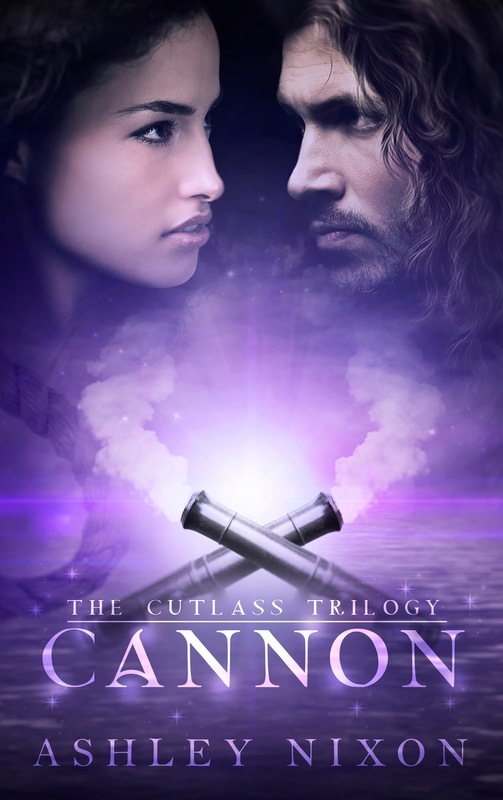 Cutlass:Notorious pirate Barren Reed has one thing on his mind: Revenge against the man who killed his father. So kidnapping his enemy’s fiancé seems a perfect plan…until he actually does it. Larkin Lee is more than a pretty face and fiancé to a powerful man. Her fierce personality is enough to make any pirate want to push her overboard. But when the King of the Orient comes to Barren with a task—to find the Bloodstone, a powerful gem thought only to exist in legend, Barren sees another opportunity to destroy his enemy. Together, Barren, Larkin and a crew of pirates set off to find the stone, only to discover it caused the death of Barren’s own mother and Larkin’s, too. As his strongest allies turn into his greatest enemies, and the life of the girl he kidnapped becomes more important than he ever dreamed, Barren’s quest for revenge becomes a fight to save the Orient. 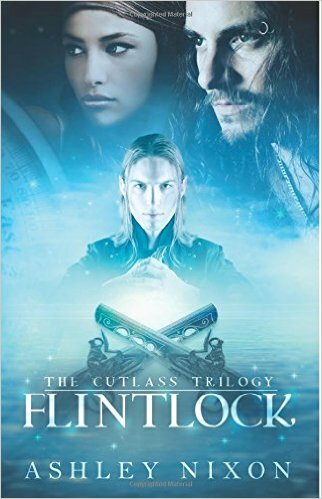 Flintlock:Barren Reed hopes to protect the Orient from his tyrant uncle, but his plans to make the King’s life a living hell aren’t supported by the Elders of the pirate community. As it stands, Barren has earned the Elders’ disdain for his carelessness, and they threaten him into exile if he makes one more mistake. Barren’s not the only one feeling the Elders’ wrath—they don’t trust Larkin either. Worse, Barren can’t comprehend Larkin’s wish to have a relationship with her father, and the secrets she’s forced to keep create a tension that may pull them apart forever. When the Pirates of Silver Crest begin to die, bullets laced with dark magic are to blame. With more and more of these weapons infiltrating the Underground, discovering who’s behind the dissemination is no easy feat. As fear and tension mount among the people of the Orient, Barren and his crew find themselves in a race against time to stop the spread of dark magic before the world of Mariana spirals into collapse. Cannon (coming soon! )The king is dead, the Network is destroyed, and Barren Reed has been exiled by the Elders of Silver Crest. To make matters worse, the black spot–a curse of dark magic–continues to devour him. It’s true purpose is still unknown, but one thing is certain: It will corrupt Barren in the worst way. With her greatest secret revealed, Larkin Lee flees Maris. Accused of slaying the king, there’s only one place to go–Silver Crest. But Barren isn’t happy to see her, and their reunion leaves more questions unanswered, including whether they have a future together. As Datherious rises in power, Barren and Larkin must work together to find the fifth Relic to complete the King’s Gold and prevent Datherious from obtaining control over dark magic, but the black spot has other ideas, and the closer they get to finding the final Relic, the more corrupt Barren becomes. Larkin finds herself in a head to head battle with the only man she’s ever loved and the reality is harsh–only one can walk away alive. A knock interrupted Cove’s thoughts and he uncurled the fingers he hadn’t realized he’d been clenching. He waited, expecting Camille to answer or enter the study any minute to tell him someone was here to see him. Though he didn’t have any appointments that he was aware of, it wasn’t unlikely for someone to drop by for a few moments. The knock sounded again. Camille and Nob must be busy, he thought. He strode into the foyer and opened the door. “Sara,” Cove took a step back, trying to stifle the surprise in his voice as he took in the woman at his door. She was Sara Rosamund—a friend, and the daughter of Frank Rosamund. Her sapphire blue eyes were painfully innocent and so kind, and set within the prettiest face, heart-shaped and fair-skinned. Her blond hair was pinned up in a bun, but she could never quite catch all the strands, as loose curls always managed to make their way free. Her lithe frame was draped in blue, a coat with black clasps kept her gown hidden, and white gloves covered her fragile hands. They’d grown up together, both having fathers in politics, and had spent many nights walking the gardens behind his house during balls and their fathers’ social calls. “Why yes, of course!” she said and patted Sara’s hand before running off toward the kitchen. An awkwardness fell between them in Camille’s absence. “Shall we sit?” Cove asked, indicating the open doors of his study. He permitted Sara to walk before him, feeling a little self-conscious at the clutter he’d allowed to overtake the space. She didn’t seem to mind and went straight for the chair she’d always claimed as hers, the one closest to the windows. His heart felt heavy as he recalled the many nights she’d sat there, staring out the unblocked windows, admiring the starry sky. “Does the daylight bother your work?” she asked, looking at the heavy curtains that now covered the windows. He hadn’t bothered to open them since returning from his adventure with Barren. Perhaps this space offered too many memories. She seemed to comprehend, mouthing ‘Oh’ in understanding, but silence fell between them again, and tension built. Why was this difficult? Things with Sara had never been difficult before. Camille brought tea. Any other time, her excited chatter would not bother Cove, but today he was feeling impatient. He had a long list of things to do to prepare for the ball, and there were pirates in his house. Not to mention Camille’s love for Sara was just a reminder of what once was. Camille left when the doorbell rang, and Cove was glad for it until silence filled the room again. For a while the clank of Sara’s cup and saucer sounded as she sipped tea. After a moment, she set the china aside. He stared back at her, taking a sip of tea. “Yes, among other things,” he replied. “You don’t believe that, do you?” She stared at him, almost demanding. Cove had a feeling that’s not what the shudder was for. She cleared her throat and stood, smoothing out the folds of her dress and pulling down on the sleeves of her coat again. “I…,” she began, taking a breath, but she hesitated, twisting her fingers together. It was strange to see her like this, so changed. Had her engagement made her a different person? Or had Ben? Cove raised a brow and stared. “Oh,” and there was silence. She curtsied. “I must go,” she said, and turned quickly to leave the study. Cove followed closely behind her. She reached the door when he called out, “Sara!” She turned around to face him, and suddenly he wasn’t sure what he had wanted to say. There was nothing he could say that would bring her back to him and nothing that could undo the decision she’d already made. “Cove,” her voice was a whisper, and her eyes glazed with fresh tears. It might have disarmed him, but he had worked for a very long time to maintain the composure he had now. He reached behind her and opened the front door. “Have a good day, Sara.” His words were just above a whisper, and they urged her out the door. She turned and hurried to her waiting carriage. Cove watched it rattle off until he could see it no longer. When he closed the door and turned, he found Barren watching him from atop the stairs.